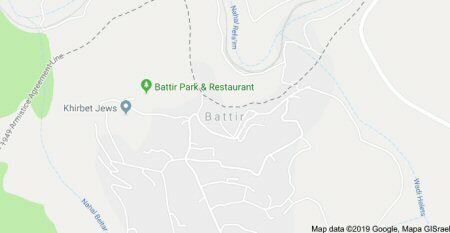 The Israeli army ordered several Palestinians in the town of Battir, west of Bethlehem, to abandon their land, under the pretext it was state-owned, a local official said today. Hasan Breijieh, from the Wall and Settlements Resistance Authority, told WAFA that the landowners were given 30 days to object to the military order. He said that Israel has been after the land in question for some time, whereas the army had set up caravans and planted parts of it before the owners removed everything the army had placed on their land. Breijieh also said that the Israeli military, today, issued an order to seize a large area of land from the towns of Halhoul and Beit Ummar, north of the southern West Bank city of Hebron, to enlarge a road used by Jewish settlers that connects occupied Jerusalem with the illegal Gush Etzion settlement bloc.